Senior Product Manager at Radiocomp. For more information, contact MoSys at www.mosys.com/contact.php. and LTE radio networks. For more information visit www.radiocomp.com. centers in Sacramento, Chennai and Bangalore. production-proven and has shipped in more than 325 million devices. 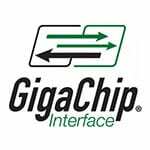 MoSys logo, Bandwidth Engine and GigaChip are trademarks of MoSys, Inc.